Added by Roman M 9 months ago. Updated 7 months ago. 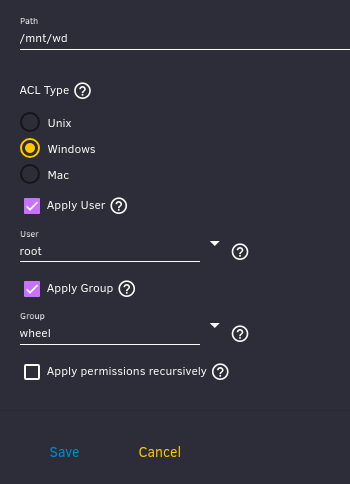 Did you change the permissions of /mnt/wd recursively? What are the permissions of /mnt/wd/iocage dir and beneath it? 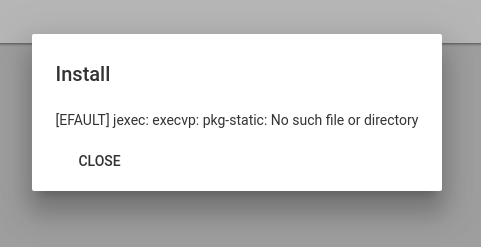 I cant check the permission on the iocage folder, what is the command line tool to do so? Looks like you have ACL set on /mnt/wd/iocage, you need to remove those. 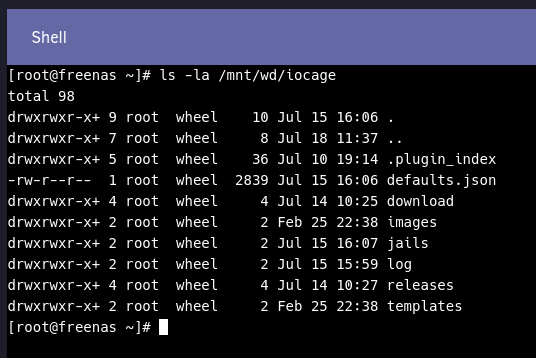 So you tried to create a jail after setting Windows ACL to /mnt/wd? 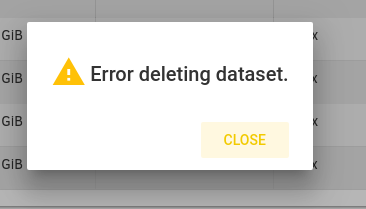 For RC1, when iocage creates the dataset, I believe we need to make sure the dataset is created with unix acl, not inheriting the parent dataset. ACCEPTANCE: Destroy all iocage datasets including the root (zfs destroy -r POOL/iocage) and then do iocage list to recreate them. Verify aclmode is passthrough. Hi, this is not for you to try. These are steps for our QA team. The fix will be available in BETA2. You will have to stop all jails and destroy all iocage datasets before trying again once the release is out. ACCEPTANCE: Destroy all iocage datasets including the root (zfs destroy -r POOL/iocage) and then do iocage list to recreate them. Verify aclmode is passthrough (zfs get all | grep aclinherit). Ok following this guide it was solved, ty.